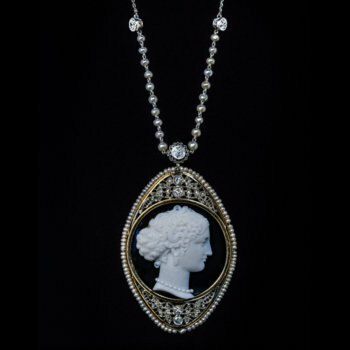 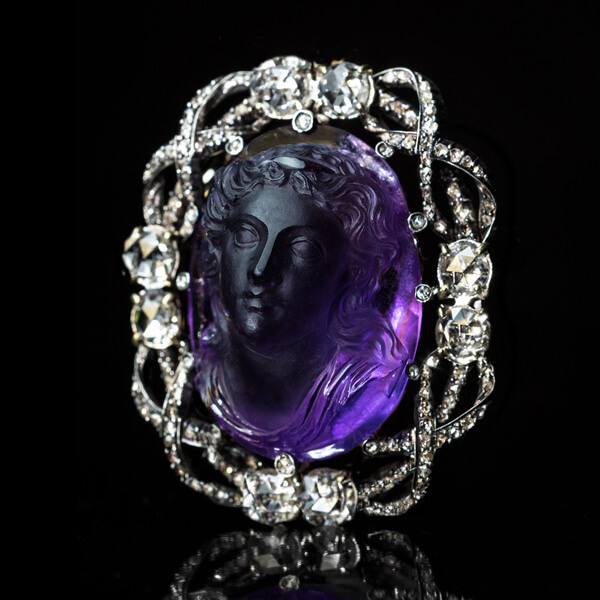 This very rare antique Belle Epoque amethyst cameo brooch / pendant boasts a beautiful neoclassical portrait of a woman carved in high relief with unparalleled precision and encompassed by a rich and chunky frame of rose cut diamonds. 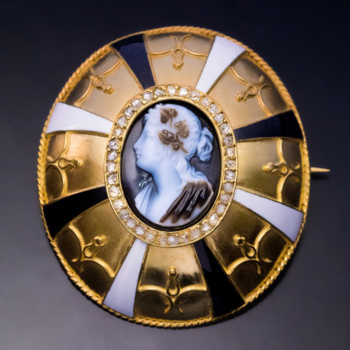 The brooch / pendant is crafted in silver topped 14K gold (front – silver, back – gold). 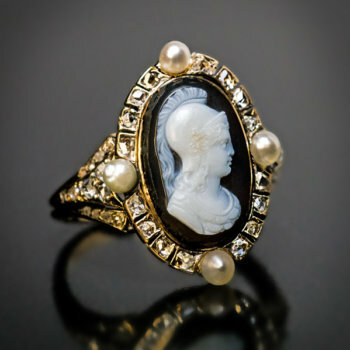 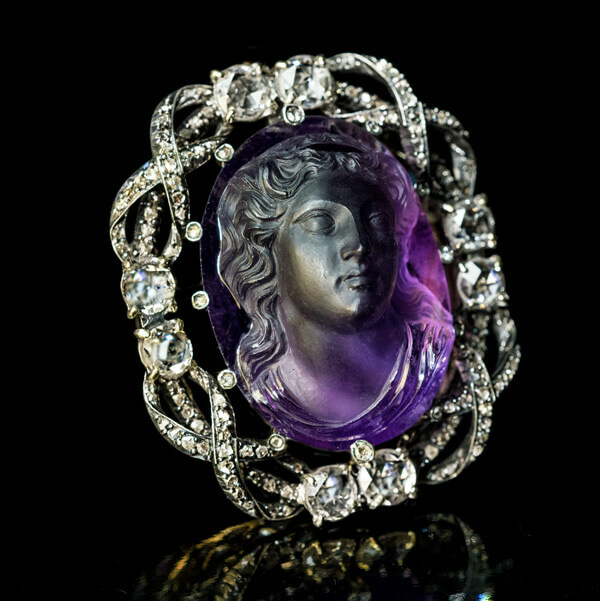 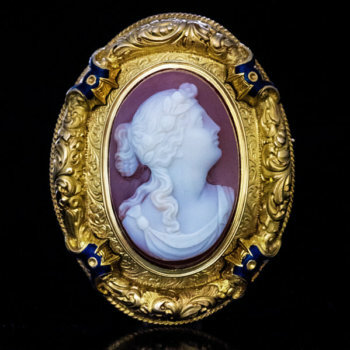 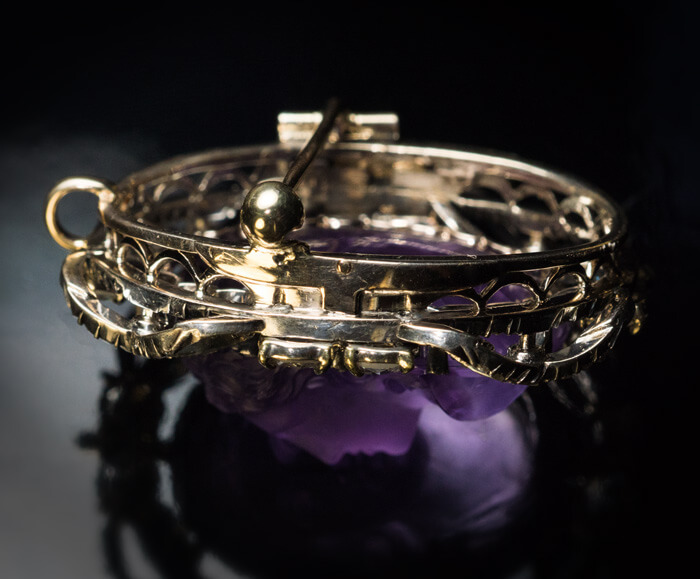 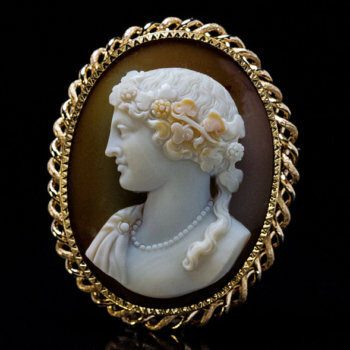 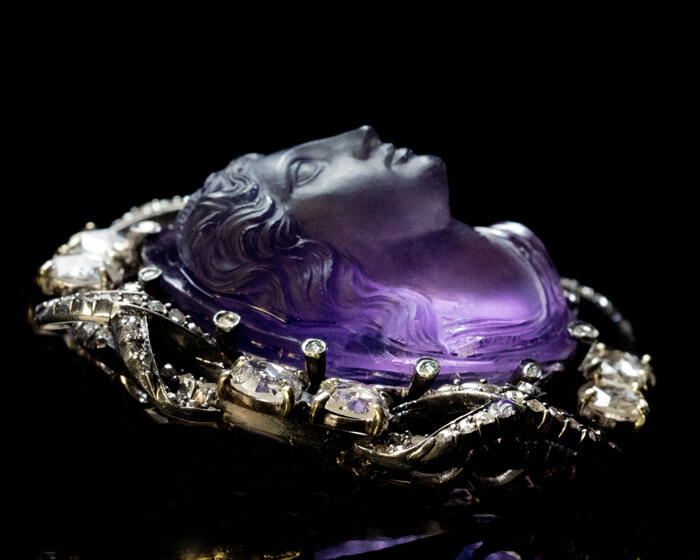 The amethyst cameo measures 30.1 x 22.4 x 17.4 mm. 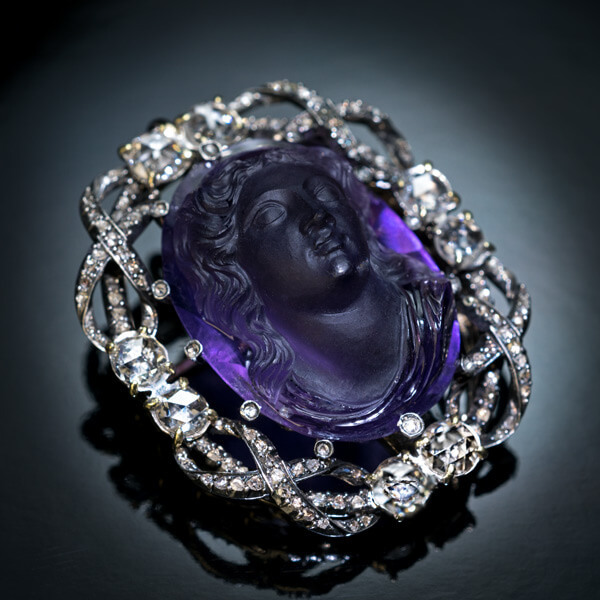 Estimated total diamond weight is 4.20 carats.